At Goldcorp, we recognize that our stewardship of the environment is integral to our company’s long-term viability, and we are working on innovative ways for environmental management, always considering the present and future of water, energy and biodiversity. Learning about our environment and how climate change impacts the world around us is an important step in inspiring the next generation of environmental leaders. In October 2018, Red Lake Gold Mines partnered with Earth Rangers, a conservation organization dedicated to educating children and their families about biodiversity, to bring the organization directly to local schools. Earth Rangers held dynamic and interactive presentations at the school assemblies at the four local elementary schools in Red Lake/Ear Falls area. Students from the entire school were taught about climate change and discussed how the importance of the actions we take now will affect the environment and animal species in the future. Earth Rangers brought along animal ambassadors to each school assembly: two Savannah Monitors, an American Kestrel, a Red-Tailed Hawk and a Pine Marten for the children to learn more about, and experience close-up. The assembly was an exciting and effective way to engage the students in environmental education, raising awareness, and inspiring them to take action. 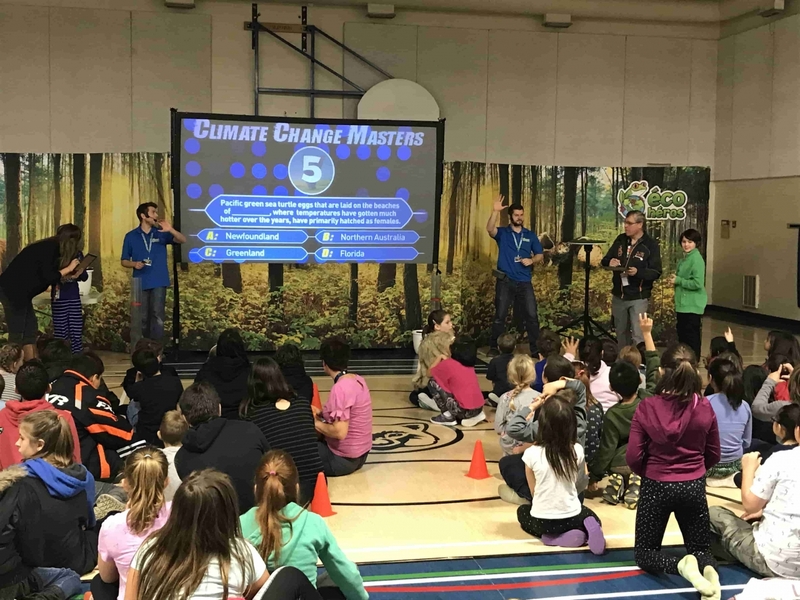 Following the assemblies, the Earth Rangers also held a hands-on presentation with each school’s grade 5/6 class, to dive deeper into climate change in conjunction with their school curriculums. Through the power of live animal demonstrations and positive, science-based information, the program educated the students about the importance of protecting biodiversity while highlighting real conservation initiatives across Canada. The program was a huge hit amongst the students and teachers alike at each school. While some students were already Earth Ranger members, the visit inspired many to join Earth Rangers and continue to discover more about the world around them. To learn more about Goldcorp’s Environmental Stewardship, visit our website or read our online Sustainability Report 2017.